Lady of yarns and tails. Books, trailers, biography, vision, mission and more! A Looming Lady - a fictional story of Kate, a homeless woman who inherits a home and enjoys looming in it! This book is 90 pages, with an introduction to some basic looming techniques and information. There are 23 patterns, about 30 pictures and some website references that could be useful. Check it out at http://www.amazon.com/dp/B006Y11T2C . Or get a paperback copy at Amazon! From reviews of this book: "Like her stories and how she puts the loom projects in them. And the loom projects are pretty cool too." Also available in print at Amazon.com! Hand Signs with the Loom, shows how to loom ASL letters, number and ILY signs. It is 32 pages. Check it out at http://www.amazon.com/dp/B004W0JN84 . ​* Note, the author is not deaf or hard of hearing. She does have family who are deaf and hard of hearing. "I thought these could be used to share the ASL alphabet in a tactile version." The Ship in A Cloud. A Science fiction story. When a small planet loses most of their animals in a worldwide earthquake they are driven to search for replacements from earth. Only unwanted, unloved ones though. 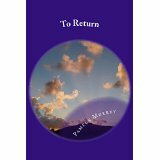 To Return is also a science fiction story. From the time the three alien siblings crash on earth their single goal is return home. Though they meet many earth residents only two boys know what they are. One of them is worried about their presence on earth. The other wishes he could go with them. Will the aliens make it home? Pamela Murrey grew up in a big city but summers were usually spent at her grandmothers in the mountains of Smith County, VA. They were idyllic despite the rustic outhouse, limited electricity and few toys. Certainly the stunning mountains, fresh air and lots of outdoor time helped the pleasant time pass. She taught herself how to crochet and needle knit before she was nine years old. It was around that time that she also fell in love with writing under the direction of an English teacher. At Averett College she studied Church Ministries. Next she worked as a cashier in various stores. 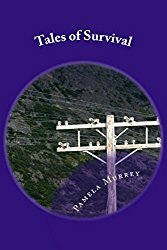 Pamela lived in Kentucky, Texas and Virginia before settling in Washington state, where she has resided since. Working grave yard shifts in convenience stores showed her an interesting side of life in America but it was dangerous. After a robbery at gun point Pamela started a new profession in office work as a customer service representative. The pay and benefits are fine but cubicle life is a challenge in itself. In evenings and on weekends Pamelas’ creative side takes over. She enjoys snuggling and playing with her kitties, whom she doesn’t own but does love. Bird watching is a favorite activity for her. It takes her back into the nature she got to experience at her grandmothers as a child. Yarn work is her favorite indoor activities. Pamela crochets, loom knits and needle knits. 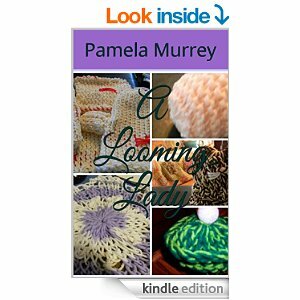 Several of her books focus on yarn crafts. Pamela Murrey published over 80 articles on Yahoo before the company decided to focus on specific areas of interests. She has written 12 books on Amazon and in print through Create Space. She has a few stories on Wattpad.com and a few articles on Wikihow.com. She hopes to write more books and articles over time. Her newest book is set to be published 10/01/2017. A trailer for The Ship in a Cloud, and a preview of Not Fur Me!